Okay, I confess, I was once in the audience at an MLA session about medieval drama, when someone brought up a relevant computer simulation, and there was a disagreement over how to interpret the results. I raised my hand and said, “I created that simulation,” and weighed in on one side of the debate. It all happened very fast, and I didn’t think to consider how it might have looked. Why do so many academics risk coming off like jackasses at conference Q&A sessions? Some scholars say it’s because those sessions are more about pageantry than conversation: Showing other scholars how much you know is often more important than actually listening and learning. There’s another reason, too: Developing good conference manners—and social skills in general—just isn’t part of graduate school training. I gathered a list of behaviors, both comical and aggravating, from a few dozen academics. As I read through them, I wondered: What would Emily Post, the famous etiquette author, do? I decided to call up someone who would know. 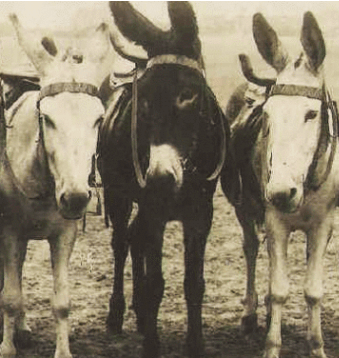 — How Not to Be a Jackass at Your Next Academic Conference | Vitae. 21 Jan 2015 in Academia, Culture, Ethics, Personal, Psychology, Rhetoric.